It is only the beginning of 2018, and it is already shaping up to be a great year for cellular agriculture (‘cell ag’). 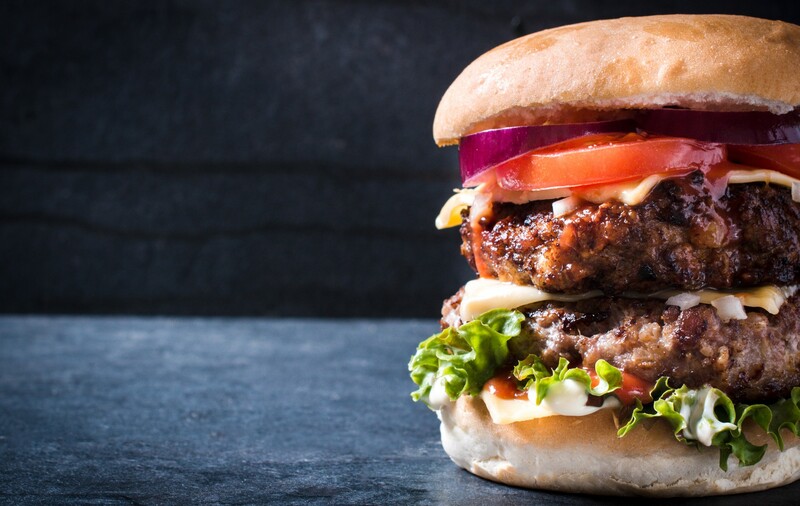 With reports that global meat consumption is increasing, the need for more progress and development into cultured meat and other meat alternatives are important. In 2018, for example, the average American will consume 222.2 pounds (100.8kg) of red meat or poultry . That’s equivalent to eating approximately 800 quarter-pounder burgers in the year, or 2.4 per day . On top of that, Americans will eat approximately 1.35 billion chicken wings over the NFL Superbowl LII weekend . That is enough chicken wings to go around the earth. Thrice. Clearly, there is a need for a more sustainable source of animal products, and cell ag can provide that solution! This article will highlight some of the key accomplishments that happened in cellular agriculture during the month of January. January was very successful in terms of raising funds for the different cell ag startups. Bolt Threads is a clothing startup that uses cellular agriculture to grow spider silk proteins to make clothes with. This month, the company raised $123 million in series D funding that will help Bolt Threads develop into a larger clothing company . Bolt Threads was not the only cell ag company to receive investments this month. At the start of the month, Israeli cultured meat start up SuperMeat raised $3 million in investment . One of the main investors during the round was PHW-Gruppe, Europe’s largest poultry producer. The presence of a conventional poultry giant reflects that the poultry (and other meat) industries are looking to find ways to make their products more sustainable. Most recently, Memphis Meats received an investment from Tyson Foods, one of the world’s largest meat producers . 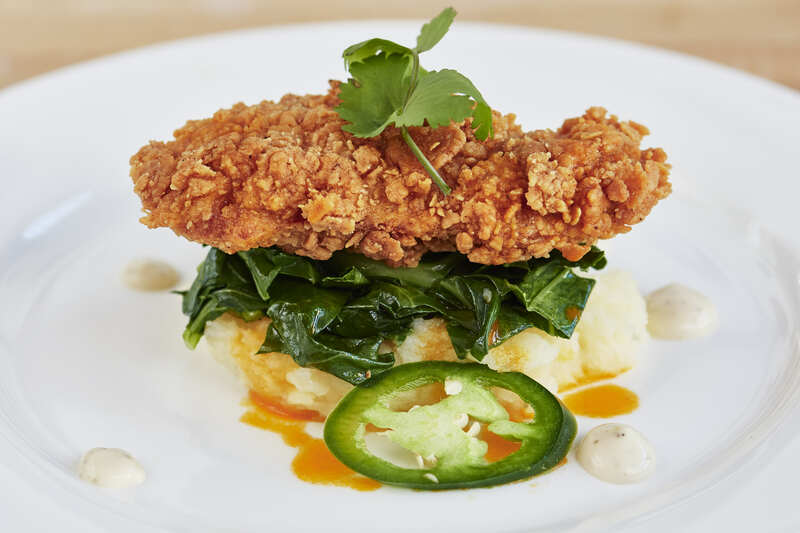 According to Memphis Meats, the strategic management investment includes assistance in scaling cultured meat production. As production scales, the cost of taking the product from lab to market decreases, and that would make cultured meat production costs significantly lower. At the start of the month, Paul Shapiro released his book Clean Meat. Shapiro’s book is the first book to specifically explore the cellular agriculture space while even tasting cultured meat. Shapiro was an executive of the Humane Society of the United States, the world’s largest animal protection organization, and members of that organization represent a portion of the population that may be interested in having animal products made via cellular agriculture. With no animals harmed. Clean Meat is a Washington Post’s nonfiction best-seller, and it is exciting to see how many more people will learn about cell ag through the book and raise awareness of it . Clean Meat is also the first animal-free leather-bound book! Geltor, the startup that made the animal-free leather for the book, usually uses cellular agriculture to grow the protein collagen to make animal-free gelatin and other texture products . Collagen is also the main protein found in leather, and Geltor surprised many to make the first cell ag leather using jellyfish collagen to bound the book. When asked why jellyfish collagen to make the historic book copy, Alexander Lorestani, the CEO and co-founder of Geltor, explained that he wanted to dispel any preconceived notions that leather needs to come from a hide-bound animal . Using jellyfish collagen shows that is no longer the case while also showing the versatility of what can be made with cellular agriculture. 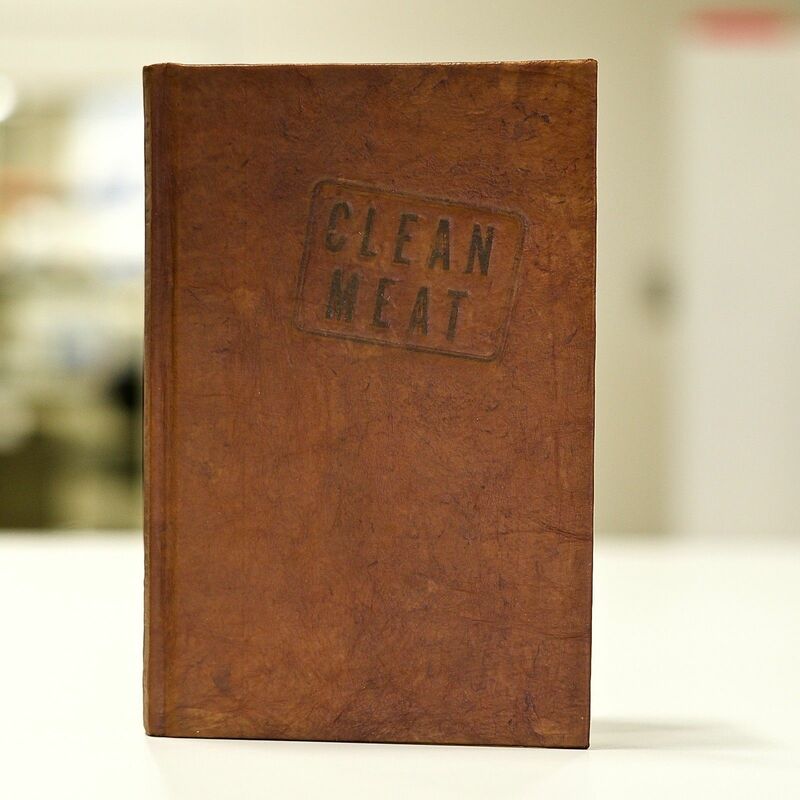 This special leather-bound copy of Clean Meat was auctioned on eBay earlier this month for over $12,700! The proceeds of the auction went to the Good Food Institute, an institution that promotes the growth of cellular agriculture and plant-based protein alternatives . While meat consumption will hit record numbers in the States, there has also been an increase in meat substitute consumption in the United States . Beyond Meat is a plant-based meat alternative, and it recently became the fastest test-to-table menu offering at restaurant chain TGI Friday’s history . While a plant-based alternative, Beyond Meat’s success is a positive sign about the rising trend of alternatives to conventional meat that will ultimately include cellular agriculture. With more investments creating publicity, January has been an incredible start of the year for cellular agriculture. While there are still many obstacles ahead, such as scalability, it is exciting to see what the rest of 2018 may bring! Durisin, M. & Singh, S. Americans Will Eat a Record Amount of Meat in 2018. (2018). https://www.bloomberg.com/news/articles/2018-01-02/have-a-meaty-new-year-americans-will-eat-record-amount-in-2018. Purdy, C. The average American will eat the equivalent of 800 hamburgers in 2018. (2018). https://qz.com/1171669/the-average-american-will-eat-the-equivalent-of-800-hamburgers-in-2018/. Klein, D. Americans to Consume 1.35 Billion Wings for Super Bowl LII. (2018). https://www.foodnewsfeed.com/fsr/flavor/americans-consume-135-billion-wings-super-bowl-lii?utmcontent=buffer5409f&utmmedium=social&utmsource=twitter.com&utmcampaign=buffer. Buhr, S. Spider silk startup Bolt Threads closes on $123 million in Series D funding. (2018). https://techcrunch.com/2018/01/03/spider-silk-startup-bolt-threads-closes-on-123-million-in-series-d-funding/. O’Hear, S. Lab-made meat startup SuperMeat raises $3M seed to develop ‘clean’ chicken. (2018). https://techcrunch.com/2018/01/02/supermeat/. Sorvino, C. Tyson Invests In Lab-Grown Protein Startup Memphis Meats, Joining Bill Gates And Richard Branson. (2018). https://www.forbes.com/sites/chloesorvino/2018/01/29/exclusive-interview-tyson-invests-in-lab-grown-protein-startup-memphis-meats-joining-bill-gates-and-richard-branson/#350acb673351. Byrd, E. World’s First-Ever Clean-Leather-Bound Book! (2018). http://www.gfi.org/worlds-first-ever-clean-leather-bound-book. Kauffman, J. San Leandro lab’s secret foray yields animal-free leather. San Francisco Chronicle (2018). http://www.sfchronicle.com/style/article/Lab-grown-animal-free-leather-covers-a-copy-of-12499829.php#photo-14889151. Byrd, E. Fastest Launch in TGI Fridays History: Beyond Burger Goes Nationwide. (2018). http://www.gfi.org/fastest-launch-in-tgi-fridays-history-beyond.